As a cat owner, I like to keep myself informed about the different options of pain relief for cats. Just like humans, cats can suffer from pain. Fortunately, there is hope for our feline friends. This article focuses on the different types of cat pain relief. Important: Keep in mind that the information presented here is of a general nature. 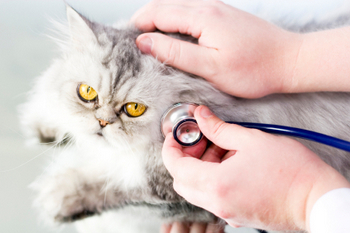 You must consult your veterinarian to identify the cause of your cat’s pain and to determine the correct treatment. Sometimes, it may be obvious that your cat is in pain. For example, if he got hit or suffered an injury, most likely he is experiencing pain. If your cat has undergone a surgical procedure, he will also be in pain. But there are other situations when it is more difficult to determine if your cat suffers from pain. If you notice any type of behavioral or physical change, consult a veterinarian immediately. Thanks to the advances in veterinary medicine, there are many options available to help your cat. From drugs to herbs, and from alternative medicine to massage therapy, you will find the perfect solution to relieve your cat’s pain. Non-steroidal anti-inflammatory drugs. These drugs can be found in prescription and over-the-counter forms. Usually these drugs are prescribed as post-surgery pain relievers or to alleviate chronic pain. Opiods. These are used in very extreme cases. Morphine and codeine are two examples of this type of pain reliever. Steroids. These types of drugs are recommended for short-time use as they can cause several side effects, some of them quite serious. Cortisone is a steroid hormone often used as an anti-inflammatory. Chiropractic treatment and massage therapy. Studies have shown that chiropractic treatment can be beneficial for certain conditions. Massage therapy is another promising feline pain relief alternative. Holistic and alternative medicine. Nutritional supplements can also help alleviate pain in cats. Glucosamine and Omega 3, for instance, can help relieve joint and muscle pain. Acupuncture is another alternative that seems to yield positive results. Many pet owners claim that herbs and even aromatherapy can also have positive effects in cats. Do not give any type of painkiller to your cat or pet before consulting with your vet. Remember that pain may only be a symptom of a more serious condition. I hope you have found this article helpful, especially if you are looking for information about pain relief for cats and pain relief for pets.